N1MM Logger Classic is a Free contest logging program for Windows. This is the old N1MM version, featuring Bandmaps for each vfo, check function, cw sending, highly integrated radio support, packet spot mapping features. The UDY-2 Voice Keyer digital voice keyer amateur radio software utility integrates many popular voice keyer features in one convenient easy to use program. Whether you're working a contest as multi op, single op, running a net, or just plain rag chewing the UDY-2 Voice Keyer has something to make hamming more fun and convenient for you. Log and Contest Program, Windows based, network capability, CW via COM/LPT, SSB/RTTY via soundcard, trcvr-Steuerung (2TX for SO2R etc. 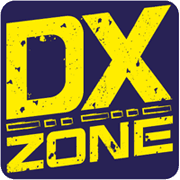 ), DX-cluster via packet, internet or telnet, statistics(DXCC, IOTA, locators...), log import/export, QSL card handling(printing tool), grey land map etc. etc. and freeware! SD sets the standard for fast, simple logging and editing in the major international contests and in dozens of others worldwide. SD by EI5DI is a free HF contest logger for windows. 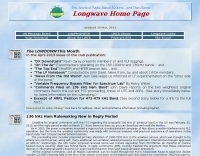 HA1AH Contest Evaluator - Contest organizers can use this software to receive e-mails containing contest logs written in the most common Cabrillo file format. The (automatic) evaluation of these Cabrillo files is also supported by creating summary and human readable log files. HolyLogger - Holyland Log Application, a super simple, one click, easy to use logging application for Holyland contest participants. LM - Log Post Processor - LM is a program to edit contest logs afterwards, a so-called contest post processor. With help of LM you can convert row data to many different file formats. Allow a quick input interface, and contest score for several contest. Can import & export a batch of logs and to create result lists. LogView - LogView is a free post-contest log-visualisation tool, for analysing contest performance. It plots the QSOs in a Cabrillo-format contest-log on to one of 8 different maps by finding the position of each QSO from an online database of about 970,000 W/VE callsigns. miLog - Highly integrated Logging, DXing, Contesting and Station Control Software, commercial version, run under windows 2000 or higher. Qsorder - Contest audio recording for N1MM. external "plug-in" which adds a QSO audio recording function. Super-Duper Contest Logger - SD sets the standard for fast, simple logging and editing in the major international contests and in dozens of others worldwide. SD by EI5DI is a free HF contest logger for windows. TACLog - Tac Log is a free input format log book for VHF/UHF/SHF contests. Where most other programs dictate the order and format of the input data during contesting, TACLog gives you freedom of operation, both on the air and on your computer. EDI format and Region 1 rules compliant. TR LOG - Contest logging software by N6TR, a free limited version is also available, includes some contests and a cw simulator mode. Search only in "Contest Software"